The Interlake is one of those “best kept secrets.” Many sailors are not familiar with the design. It has to do with approach. The class has been strong since day one. There simply has never been a huge marketing blitz. The class just never wanted to be part of the international scene. The goal has always been to be a Midwest regional class and to promote high level competition in a friendly atmosphere. Members not only value the feel and performance of the boat, as well as the competition, but also enjoy the festivities which surround the events. This philosophy has served the class well for over seventy years. Not only has the class remained active and healthy, but members have competed well in the prestigious U.S.S.A. Champion of Champions Regatta, and served on U.S. Sailing’s Executive Committee. 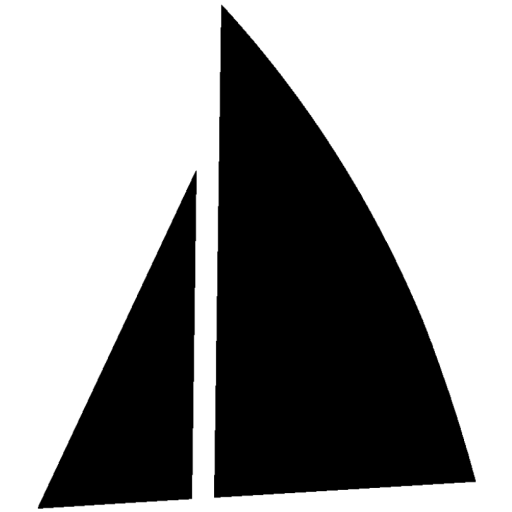 The Interlake was commissioned by the Sandusky Sailing Club in 1933. Francis Sweisguth, who had already designed the Star, was hired to develop a centerboard boat for the waters of Lake Erie and Sandusky Bay. The craft was to be tactical with a good turn of speed, raced by two to three people and also accommodate four or more adults for a comfortable day sail. It needed to be easily trailerable and easy to sail. The result was the Interlake. (It also singlehands very well). When examining the Interlake the graceful similarities with the Star’s lines are immediately noticeable. This accounts for the incredible feel. Further investigation reveals a sail plan that is simple to rig, simple to sail, and full of performance. In fact, today’s hottest new designs (the expensive sport boats) have rigs remarkably similar to the Interlake’s. Details such as: a large roachy main, smaller 110% jib, fractional rigging, and no backstay are similarities to both designs. This simple rigging not only produces turnkey speed, but also makes trailering a breeze. The Interlake is also built to last. Twenty plus year old boats still win the Nationals. They just keep going and going . . . When sailing an Interlake you can expect a dry ride (in most conditions), good upwind ability, smooth planing off the wind, and good speed at deep sailing angles. Acceleration is good, better than with most similar dingy classes (such as the Lightning or Flying Scot), and maneuverability is exceptional. The helm is light and responsive, immediately telling the skipper what to do. If the skipper doesn’t listen, the boat simply goes a little slower . . . it won’t break anything or throw the crew in the drink (like a Laser might!). All the basic controls are there to adjust the sails to the conditions. Then just trim and go. The straight ahead nature allows performance at peak level without a lot of tweaking. Not only is it fun to go fast, but this makes the Interlake an extremely tactical boat. The only way to truly understand that this is just part of the story is to take a ride. Yet the best part of the class is not the boat, but the sailors. 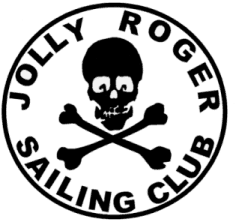 Sailors who cheerfully share their knowledge because they enjoy close competition. Sailors who keep the good times going off the water as well. The Interlake and the company it keeps are, well, . . . irresistible. SAIL AREA Main: 125 sq. ft. Jib: 50 sq. ft. Spinnaker: 200 sq. ft. IN A NUTSHELL . . .”Extremely tactical” is the way multi-class champion George Fisher describes Interlake racing. “The stiff mast makes a great equalizer,” says George. This fact also allows the skipper to tune into the great feel and responsiveness of the boat and concentrate on wind and tactics . . . not tweaking the rig. Interlake racing is tight!